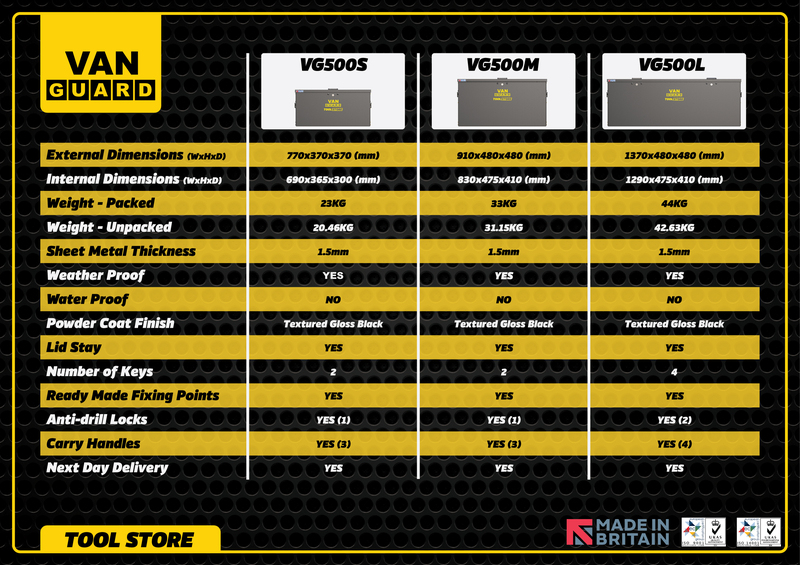 Our Tool Store is perfect for storing your tools inside your van at a highly competitive price. Check out our new VG500 series. Built from strong and durable zintec steel. Finished in a tough powder coating. Thoughtful design includes rubber stopper for a secure fit. Pre-drilled holes help you fix the van tool store to your van. Integrated locking mechanism (Dual locks on the large tool store). 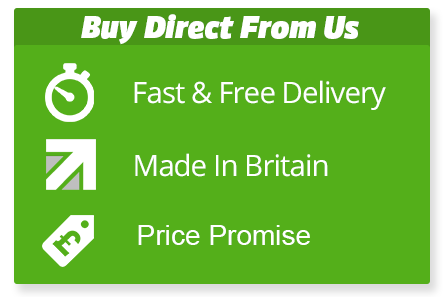 Designed with professional tradesmen in mind, our Tool Stores are available for next working day delivery to mainland UK. For technical information on our range of Tool Stores, click here.